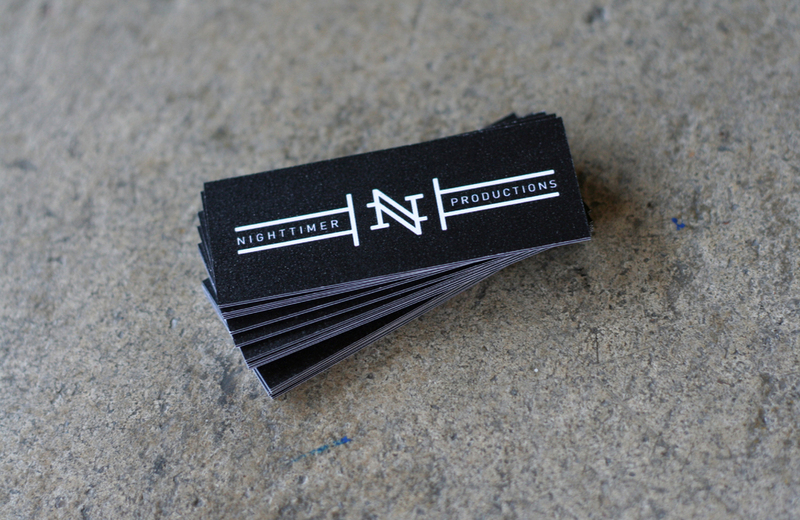 Nighttimer Productions is an independent film production group based in Salt Lake City, Utah. Having a brand mark that could be used over a variety of different projects, easily animated, and stand alone was a primary concern. Full logo lock-up for Nighttimer Productions. Tomb logo variant and city rat detail. Based on the ongoing theme of urban life and the later hours, the rat symbol was chosen as a mascot by the client. 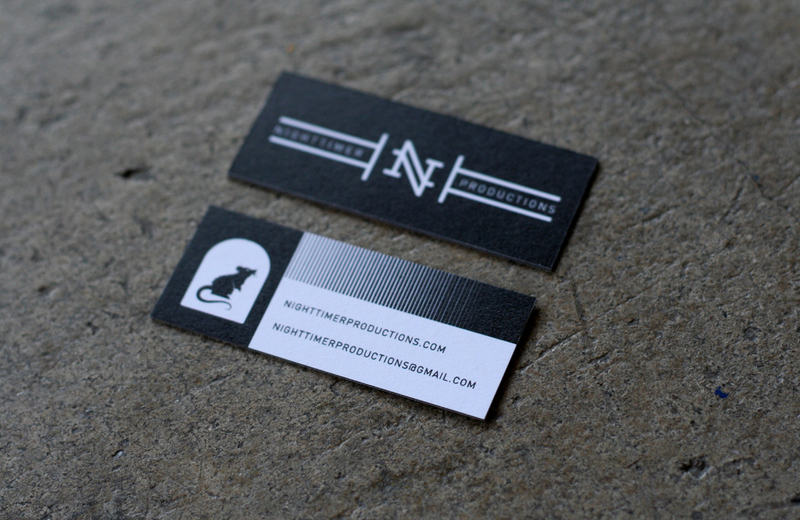 NIGHTTIMER BUSINESS CARDS: Further use of the Nighttimer Productions logo "N" mark and rat mascot for simple, but elegant business cards.